The final guidelines on Marginal Cost of Funds based Lending Rate is released by the RBI on Dec 17, 2015. The Marginal Cost of Funds based Lending Rate will be implemented w.e.f April 01, 2016. There was strong opposition from banks to implement Marginal Cost of Funds based Lending Rate. The objective of RBI is to pass the benefit of REPO Rate cut to borrowers. As i mentioned in my other posts that in last one year, RBI has cut REPO Rate by 125 basis point. On the other hand, an average base rate cut by banks is only 70 basis point. Technically, the Repo rate cut is not fully transmitted to borrowers. Before concluding this, it is imp to understand whether the increase in REPO Rate was fully transmitted to borrowers. The answer is NO. In short, Base Rate was not increased in the proportion of the increase in REPO Rate. Therefore, the cut in REPO Rate is also not fully transmitted. It is because of the way average cost of funds is calculated under Base Rate. Exactly this was the counter argument of the banks against Marginal Cost of Funds based Lending Rate. The base rate is linked to the average cost of funds for the banks. Therefore, REPO Rate cut or increase cannot be fully transmitted. In this post, i will share whether MCLR is beneficial for a borrower or not. I will not share how it will be implemented. You must have already read it in the newspapers. On a lighter note, All the copycat bloggers will share with you :). As a borrower or investor, you are more interested to know how it will impact you. We will discuss how Marginal Cost of Funds based Lending Rate will change the landscape of Home Loan. I will share under what circumstances, it is beneficial to borrowers. 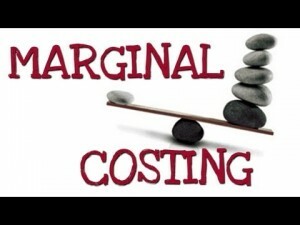 What is Marginal Cost of Funds? The Marginal cost of funds is also known as the Incremental cost of funds. Let us understand with a simple example. Assuming i am a lender. I borrow at lower cost and lend at a higher cost. In layman terms, the net of lending cost minus borrowing cost after adjusting the cost of operation is my net profit. Now i will borrow from multiple lenders at the different interest rates. Similarly, i will lend at different interest rates to borrowers. It is quite a complicated situation. Assuming i keep a net profit margin of 1%. In banking terms, it is called markup or spread over base rate. Let say today my borrowing cost including a profit margin of 1% is 9%. In future it is 8.5% (Scenario A) & 7.75% (Scenario B) respectively. Under base rate calculation of the average cost of funds, i will lend in future at 8.75% (Scenario A) & 8.25% (Scenario B) respectively. 8.75% is average of 9% and 8.5% whereas 8.25% is the average of 8.75% and 7.75%. In short, under base rate Scenario A interest rate will be 8.75%, and Scenario B will be 8.25%. Therefore, under base rate, the benefit of a rate cut is not fully transmitted to the borrower. Let see how it will work under Marginal Cost of Funds based Lending Rate. In this case, the incremental cost of funds will be taken as benchmark or lending rate. Therefore, if, under scenario A, i am borrowing at 8.5% then i will lend only at 8.5%. Similarly in scenario B, i will lend at 7.75%. In short, if my borrowing cost reduced, i will pass 100% benefit to my borrowers. In other words, under Marginal Cost of Funds based Lending Rate, Scenario A and B interest rate will be 8.5% and 7.75% respectively. Therefore, under Marginal Cost of Funds based Lending Rate the benefit of a rate cut is fully transmitted to the borrower. Now compare Scenario A and Scenario B under Base Rate and Marginal Cost of Funds based Lending Rate. In scenario A, the Base Rate interest rate is 8.75% whereas MCLR interest rate is 8.5%. Wow, Borrower will save 0.25% under MCLR. Similarly, in Scenario B under base rate interest rate is 8.25% and MCLR is 7.75%. It’s excellent, saving of 0.5% in interest rate under MCLR. The Picture so far looks great. The conclusion is Marginal Cost of Funds based Lending Rate is in the BEST interests of the borrower. As a borrower, i should grab it without a second thought. But Hold ON, before you celebrate, please check next section. Is Marginal Cost of Funds based Lending Rate beneficial? Let’s flip the above example. The example mentioned above is for a situation when interest rates are decreasing. Let’s check another example when interest rate or REPO Rate is increasing. In this case, my current cost of borrowing including profit is same 9%. The interest rates increased, and my cost of borrowing in future is 9.5% (Scenario A) and 10.25% (Scenario B). In all fairness, i have kept the margin of 0.5% in Scenario A and 1.25% in Scenario B for both increase and decrease in Interest Rate. In base rate, i will lend at 9.25% in Scenario A and 9.75% in Scenario B.
Let’s check under Marginal Cost of Funds based Lending Rate. In MCLR, under scenario A, i will lend at 9.5%, and Scenario B lending rate will be 10.25%. Compared to the base rate, in the case of increasing interest rate under MCLR, i will pay 0.25% more in Scenario A and 0.5% more in Scenario B. Now, the WOW factor is gone in case of increasing interest rates. As per my analysis, Marginal Cost of Funds based Lending Rate is more beneficial during decreasing interest rate. On the other hand, Base Rate is more beneficial in case of increasing interest rate. I received a lot of emails from my readers on Marginal Cost of Funds based Lending Rate. I have a lot to share on this topic. This post is first in series. In this post, i tried to answer most common query whether Marginal Cost of Funds based Lending Rate will be beneficial or not. Therefore, i already answered that Marginal Cost of Funds based Lending Rate is beneficial only in declining interest rate. Now as an existing borrower or new borrower you must be wondering what to do next. I have a different set of advice for both of them. Though we will be in a better position to take a call 2-3 weeks before implementation of Marginal Cost of Funds based Lending Rate. (a) New Borrowers: In my opinion, you should avail Home Loans on or before March 31, 2016. In short, before Marginal Cost of Funds based Lending Rate kick in you can avail Home Loan linked to base rate. The interest rates are not expected to fall further because of increasing inflation. Once your loan is linked to Base Rate, you will always have the option to shift to Marginal Cost of Funds based Lending Rate. On the other hand, once you opt for Marginal Cost of Funds based Lending Rate, you cannot shift to Base Rate. You should borrow from Market leaders like SBI or ICICI Bank for lowest interest rate due to operational efficiencies. (b) Existing Borrowers: Anyways nothing can be done till Mar 31, 2016. Therefore, don’t lose your sleep over Marginal Cost of Funds based Lending Rate. As i shared that in the case of an increase in interest rates, you will be benefitted through Base Rate compared to MCLR. You can always migrate to Marginal Cost of Funds based Lending Rate in future once the picture is clear. At the macro level, a borrower should keep a close eye on interest rate movement and then decide accordingly. All the real estate experts and analysts are gung ho about Marginal Cost of Funds based Lending Rate without proper analysis. As i always say that life is zero sum game. The Profit and Loss are balanced equally. On a standalone basis, Banks may lose when interest rates will drop but will gain when it increase. As a banker i should be HAPPY as in last ten years, for the majority of the period interest rates were on increasing trend :).